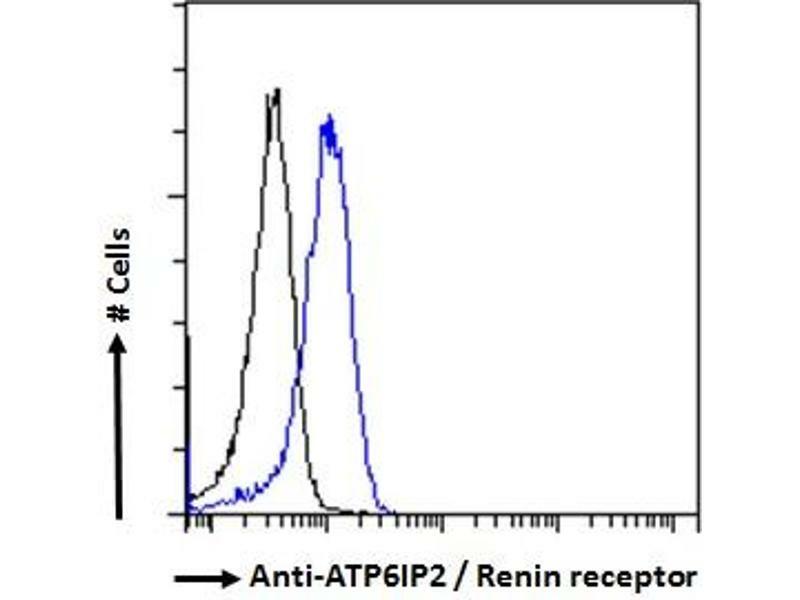 ABIN185092 staining (0.5µg/ml) of Human Kidney lysate (RIPA buffer, 35µg total protein per lane). Primary incubated for 1 hour. Detected by western blot using chemiluminescence. 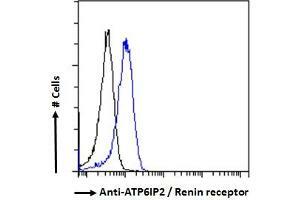 ABIN185092 (2µg/ml) of Mouse Kidney lysate (RIPA buffer, 35µg total protein per lane). Detected by chemiluminescence. Immunogène Peptide with sequence C-SIIYRMTNQKIRMD, from the C Terminus of the protein sequence according to NP_005756.2. DS WB Results: Approx 37 kDa band observed in Mouse Kidney lysates (calculated MW of 39.1 kDa according to NP_081715.1). An additional band of 45 kDa was also observed in some lysates, whch was completely blocked by the immunizing peptide. Recommended concentration:1-2 μg/mL. Primary incubation 1 hour at room temperature. 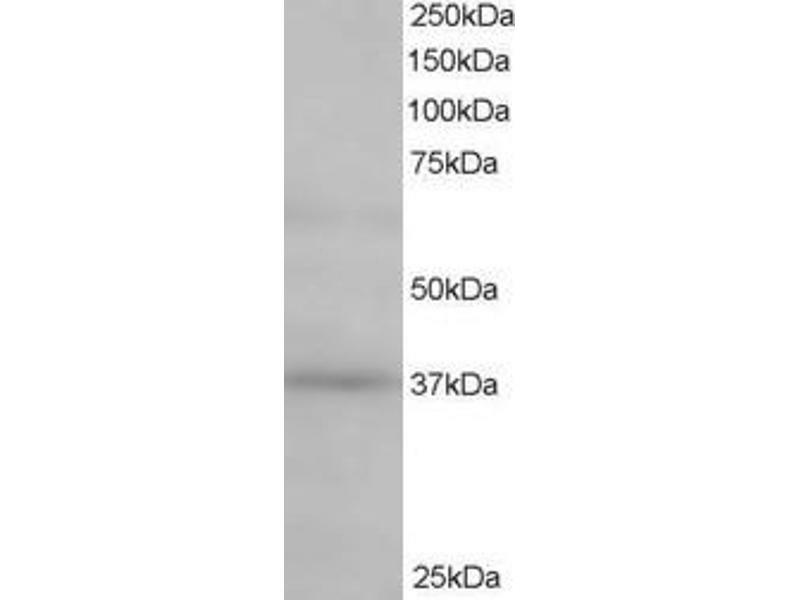 DS IHC Results: This antibody has been successfully used on Human tissue in the following papers: Pringle et al, J Renin Angiotensin Aldosterone Syst. 2010 Aug 11, PMID: 20702505. Delforce et al, Endocr Connect. 2017 Jan,6(1):9-19, PMID: 27956412.